Our latest Cotacachi and Imbabura real estate tour was completed last night. Here is a review of some of the Cotacachi and surrounding properties we saw first day. I go into more detail in upcoming updates. 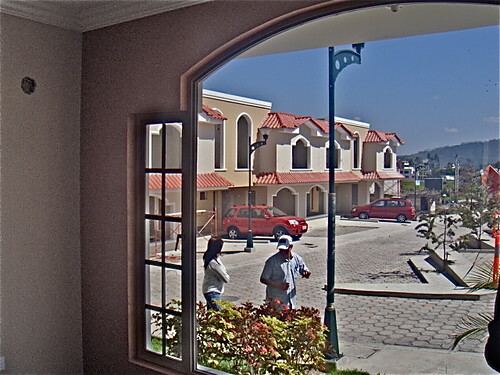 The first real estate we saw is near Cotacachi in Otavalo… brand new houses for sale. 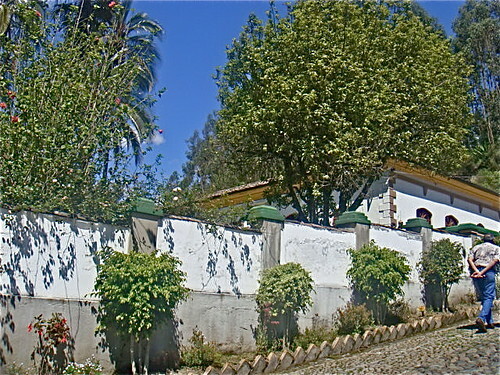 This Ecuador real estate ranges between $65,000 and $95,000 for very nice houses overlooking Otavalo. The house we visited was 3.5 bathrooms, 4 bedrooms, two dens, living, dining and kitchen areas plus small back yard. Appx. 2,300 square feet at $95,000 asking. 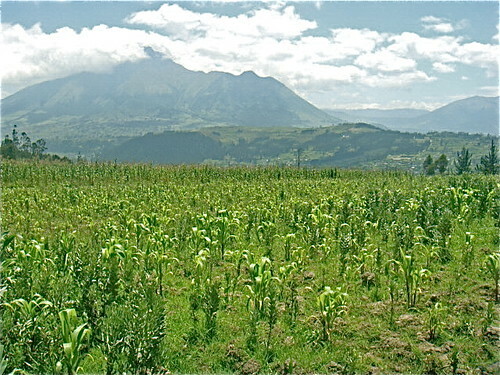 Cotacachi real estate tour property #3 is a sloping 10 acre corn field with outstanding 360 degree views. Cotacachi real estate tour property tour #4 is an indoor-outdoor restaurant and six cabins on 22 acres currently used as a nine hole golf course with 900 feet of lake front (big lake) and a two bedroom, 1 bathroom house above. Subdivision plans are partially complete. 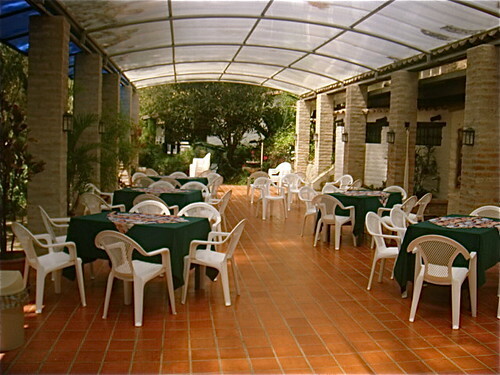 Here is the outdoor portion of the restaurant. The asking price is $860,000. 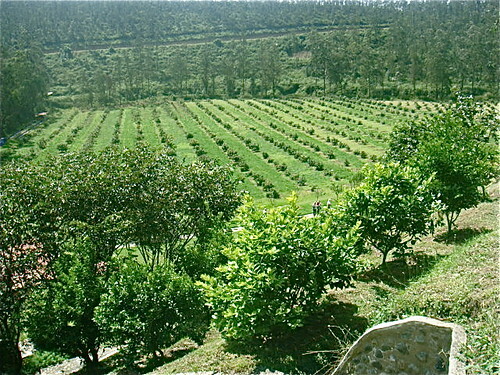 Cotacachi real estate tour property #5 is a 12 are avocado farm just minutes from Ibarra. The avocados are flowering for their first crop and we are told they will offer a $50,000 a year income after two years… $25,000 potential this year. Asking price with two houses is $260,000. 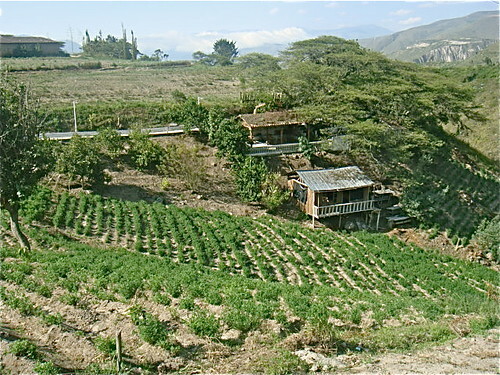 Cotacachi real estate tour #6 is a 1,500 square foot house with three outbuildings and seven acres planted in alfalfa. Asking price $80,000. 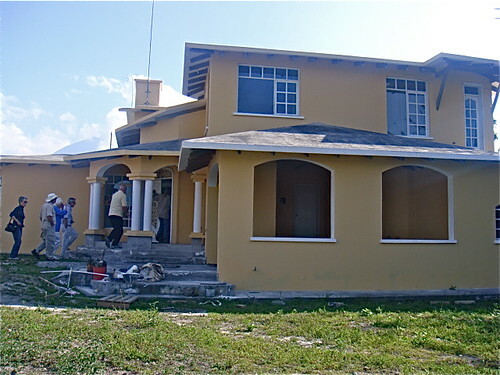 Cotacachi real estate tour #7 is a three bedroom house over 2,000 square foot house. The asking price is $45,000 but as its in a bad area we are guessing that a $29,000 offer might work. 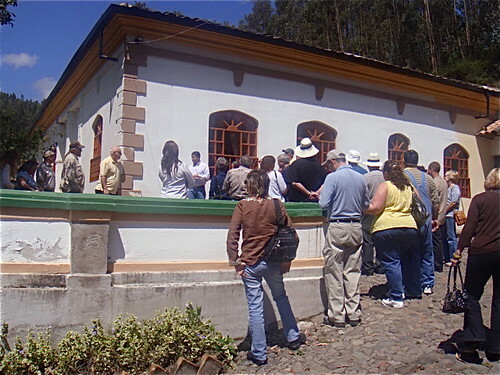 Cotacachi real estate tour property #8 is a 2.5 acre compound with two houses, dormitories, and spa with Turkish bath, sauna, hot tub, basketball court, football (soccer) field, plus an organic peach and citrus grove and organic beans and corn. The asking price is $170,000 but the owner is seriously ill and asks for all offers. This was eight of the nine properties we viewed on the first day of the Cotacachi real estate tour. We’ll go in depth with many more pictures soon. Join us in Cotacachi, North Carolina or Florida.